Dr. Demireva obtained her HBSs in Molecular Biology and Molecular Genetics from the University of Toronto. She joined Columbia University’s Center for Neurobiology and Behavior for her graduate work in neuroscience, where she studied the molecular determinants of motor circuit assembly in the developing spinal cord. Conducting these studies Elena learned the intricacies of transgenic mouse construction, molecular biology, neuroanatomy, circuit analysis, and biochemistry. She went on to apply her molecular and circuit neurobiology skills to translational studies of psychiatric disease mouse models for her post-doctoral work at the New York State Psychiatric Institute and Columbia University. Dr. Demireva’s multidisciplinary background and expertise in molecular biology, genetics, development and neuroscience, is the foundation of MSU-TGEF’s consulting services, which include assistance with grant and manuscript editing, gene targeting strategies and experimental design, as well as detailed technical expertise in molecular genetics and genome editing. 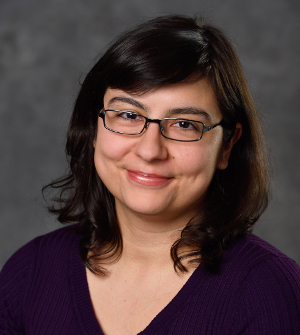 Dr. Demireva heads the Molecular Services Program at MSU-TGEF, and her current research and development efforts focus on optimizing repair template-mediated CRISRP/Cas knockins for large constructs.